This full-time access course, delivered over one year, will appeal to those interested in pursuing a career in physiotherapy. Physiotherapists work with people of all ages across a spectrum of injuries, from sports-related to stroke patients, amputees, and disabled children. They work to rebuild muscle, strengthen limbs, develop balance and help distressed patients to recover. A major emphasis of the programme is to enhance and strengthen the core subjects required in all physiotherapy courses at third level. 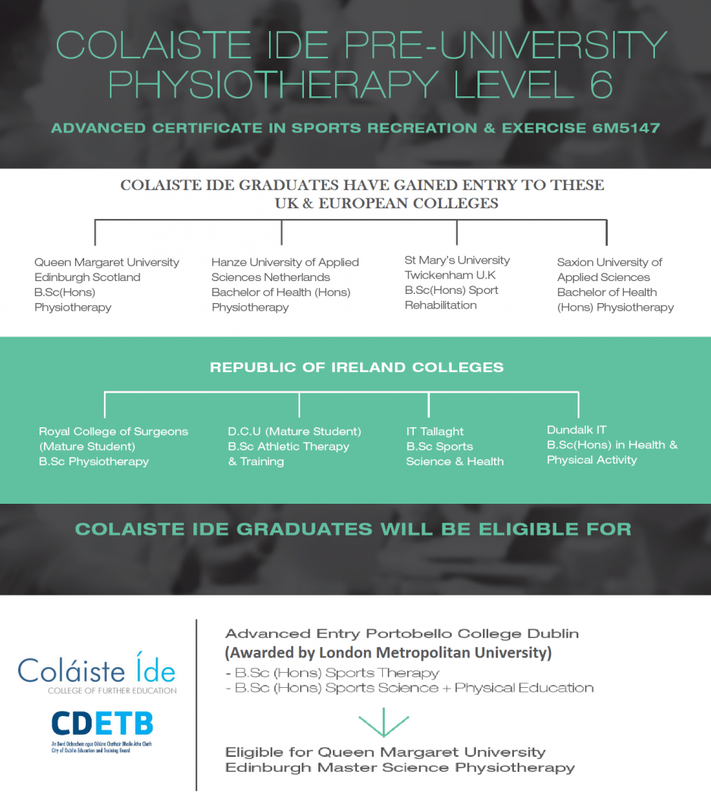 This programme includes a variety of components essential to continued studies at university level, including Biomechanics, Sports Anatomy and Physiology Boundary Management and Sports Psychology. 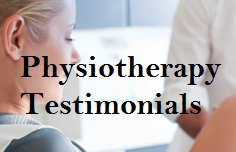 Additionally, students are required to complete sixty hours of work placement within an approved physiotherapy setting. The purpose of this placement is to further immerse learners in the rudiments of practice. » Leaving Certificate: 4 subjects at Honours level including Mathematics at Ordinary Level (minimum 04). Biology is desirable. Biomechanics, Sports Psychology, Nutrition and Health, Sports Anatomy and Physiology, Boundary Management, ITEC Pilates Instructor. On-Site Massage, Health Promotion, Team Leadership, Work Experience and Sports Industry Practice. QQI Level 6 Sports, Recreation and Exercise 6M5147 and ITEC Pilates instructor. Graduates are enabled to pursue honours degree programmes in a number of colleges and universities in Ireland, the UK and the Netherlands. Click here to read past students testimonials.